Adsorption of textile dye from aqueous solution onto a low cost conch shells, I. El Ouahabi,, R. Slimani, S. Benkaddour, H. Hiyane, N. Rhallabi, B. Cagnon, M. El Haddad, S. El Antri and S. Lazar, Journal of Materials and Environmental Sciences 9, 2018. PS-b-PMMA/PLA blends for nanoporous templates with hierarchical and tunable pore size, T. H. Nguyen, M. Vayer, C. Sinturel, Applied Surface Science 427, 464–470, 2018. Kinetics and equilibrium studies of 4-chlorophenol adsorption onto magnetic activated carbon composites, M. Sebastian Secula, E. Dávid, B. Cagnon, A. Vajda, C. Stan and I. Mămăligă, Environmental Engineering and Management Journal 17, 4, 2813-2821, 2018. Improving the adsorption kinetics of ibuprofen on an activated carbon fabric through ultrasound irradiation : Simulation and experimental studies, M. Ondarts, L. Reinert, S. Guittonneau, S. Baup, S. Delpeux, J.-M. Lévêque and L. Duclaux, Chemical Engineering Journal 343, 163-172, 2018. Phenylamide-oxime and phenylamide nanolayer covalently grafted carbon via electroreduction of the corresponding diazonium salts for detection of nickel ions, D. Pally, V. Bertagna, B. Cagnon, M. Alaaeddine, R. Benoit, F. I Podvorica and C. Vautrin-Ul, Journal of Electroanalytical Chemistry, 817, 101-110, 2018. Electrochemical sensors for emerging micropollutants detection, E. Mathieu-Scheers, S. Bouden, V. Bertagna, B. Cagnon, F. Warmont, E. Joigneaux and C. Vautrin-Ul, La Houille Blanche, n°1, 53-59, 2018. Solvent-assisted synthesis of carbon nanotubes-manganese oxide hybrid materials for high voltage aqueous supercapacitor, A. Mery, B. Cagnon, F. Tran van , C. Autret and F. Ghamouss, Journal of Alloys and Compounds 763, 62-70, 2018. Carbon dioxide adsorption through carbon adsorbent structures : Effect of the porosity size, chemical potential and temperature, D. Nguemalieu Kouetcha, H. Ramézani, N. Mathieu-Cohaut and S. K. Bhatia, Computational Materials Science 151, 255-272, 2018. Water Mobility within Compacted Clay Samples : Multi-Scale Analysis Exploiting 1H NMR Pulsed Gradient Spin Echo and Magnetic Resonance Imaging of Water Density Profiles, P. Porion, E. Ferrage, F. Hubert, E. Tertre, T. Dabat, A.M. Faugère, F. Condé, F. Warmont and A. Delville, ACS Omega 3, 7399−7406, 2018. Influence of strong confinement on the structure and dynamics of liquids : a study of the clay/water interface exploiting 2H NMR Spectroscopy and Spin-Locking relaxometry, P. Porion, A.M. Faugère, A.-L. Rollet,E. Dubois, V. Marry, L. J. Michot and A. Delville, J. Phys. Chem. C 122, 29, 16830–16841, 2018. Thin Films with Perpendicular Tetragonally Packed Rectangular Rods Obtained from Blends of Linear ABC Block Terpolymers, A. Guliyeva, M. Vayer, F. Warmont, A.M. Faugère, P. Andreazza, A. Takano, Y. Matsushita and C. Sinturel, ACS Macro Lett. 7, 789-794, 2018. Incorporation of aromas in nanostructured monolinolein-based miniemulsions : A structural investigation, S. Serieye, F. Méducin, A. Tidu and S. Guillot, Colloids and Surfaces A 555, 802–808, 2018. A Wide Adsorption Range Hybrid Material Based on Chitosan, Activated Carbon and Montmorillonite for Water Treatment, F. Bouyahmed, M. Cai, L. Reinert, L. Duclaux, R. Kumar Dey, H. Ben Youcef, M. Lahcini, F. Muller and S. Delpeux-Ouldriane, Journal of Carbon Research 4, 2, 35, 2018. Kinetics and thermodynamics of defluoridation of drinking water using high performance hybrid zirconium (IV)-hexamethylenediamine : A comparative aspect with ion-exchanger amorphous zirconium (IV) phosphate, P.C. Patnaik, S.K. Swain, S.B. Patel, T. Patnaik, F. Muller, S. Delpeux-Ouldriane, S. Das and R.K. Dey, Surfaces and Interfaces 13, 22–32, 2018. Development and Characterization of Biomimetic Carbonated Calcium-Deficient Hydroxyapatite Deposited on Carbon Fiber Scaffold, Q. Picard, F. Olivier, S. Delpeux, J. Chancolon, F. Warmont and S. Bonnamy, C. 4, 25, 2018. Influence of crystal structure defects on small-angle neutron scattering/diffraction patterns of swelling clay, E. Ferrage, F. Hubert, A. Baronnet, O. Grauby, E. Tertre, A. Delville, I. Bihannic, D. Prêt, L.J. Michot and P. Levitz, Journal of Applied Cristallography 51, 1311-1322, 2018. Tailored activated carbons prepared by phosphoric activation of apricot, date and loquat stones and their mixtures ; relation between the pore size and the composition in biopolymer, K. Larbi, N. Benderdouche, L. Reinert, J. M. Lévéque, S. Delpeux-Ouldriane, M. Benadjemia, B. Bestani and L. Duclaux, , Desalination and Water Treatment 120, 217–227, 2018. Influence of γ-lactones on monolinolein/water bulk and emulsified mesophases, A.Tidu, F. Méducin, A.-M. Faugère and S. Guillot, Langmuir 34, 13283-13287, 2018. High aspect ratio etched sub-micron structures in silicon obtained by cryogenic plasma deep-etching through perforated polymer thin films, M.K. Kulsreshath, A. 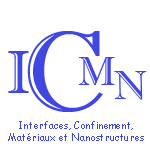 Vital, P. Lefaucheux, C. Sinturel, T. Tillocher, M. Vayer, M. Boufnichel and R. Dussart, Microelectronic Engineering, Micro and Nano Engineering 1, 42–48, 2018. Constrained crystallization of poly(L-lactic acid) in thin films prepared by dip coating, M. Vayer, A. Pineau, F. Warmont, M. Roulet and C. Sinturel, European Polymer Journal 101, 332-340, 2018. Regeneration of a solid waste from an agriculture-food industry, C. Meziti, A. Boukerroui, B. Cagnon, Algerian Journal of Engineering Research 4, 36-40, 2018.